Truman “Wayne” Pickett, 80, of Cleveland, Tennessee, passed away on Sunday, October 21, 2018, at his residence. He was a native and lifelong resident of Bradley County. He was retired from Starkey Printing and also served in the Bradley County Sheriff’s Department for seven years. He was a co-founder of the Main Street Cruiser’s Car Club. 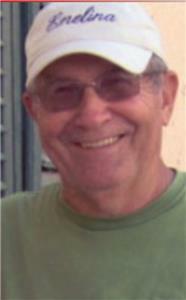 Wayne was a member of McDonald United Methodist Church. He was preceded in death by his parents, Truman and Minnie Lou Goodwin Pickett; and grandson, Bobby Dewayne Coffman. He is survived by his wife of 60 years, Faye Haney Pickett of Cleveland; daughter, Karen Pickett Mosier (James) of McDonald; grandchild, Nicole Barrineau (Chris) of Cleveland; three great-grandchildren, Kyndal Rolland, Braydon Barrineau, and Aubrie Barrineau all of Cleveland; and brother, Johnny Pickett (Rachel) of Cleveland. Funeral services will be conducted at 2 p.m. on Wednesday, Oct. 24, in the chapel of Ralph Buckner Funeral Home with Brother Travis Humberd officiating. Interment will follow in Lee Cemetery with a dove release ceremony and bagpipes concluding the service. Stacy Bowen, Eddie Moreland, Chris Barrineau, Braydon Barrineau, Steve Brown, Rickey Johnson, Mike Johnson, and Tim Wattenbarger will serve as pallbearers. The family will receive friends from 5-8 p.m. on Tuesday, Oct. 23, at the funeral home. We invite you to send a message of condolence to the Pickett family and view the guestbook at www.ralphbuckner.com.